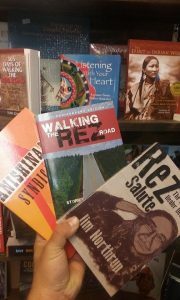 The Heart of a Warrior; the Soul of a Writer - The Works of Joe Campolo Jr.
My friend Jim Northrup recently passed away. Jim and I became acquainted at a veteran’s event in which he was a featured speaker. Our mutual background as Vietnam War Veterans who enjoy writing spawned our correspondence and friendship. Like all those fortunate enough to know Jim, I admired him and marveled at his journey through life. Jim was a proud Ojibwa of the Fond Du Lac band in Northern Minnesota. Shuffled around in his youth by a society trying to make him “white”, Jim could have easily succumbed to those negative experiences by choosing a path with a bleak future; but he did not. In spite of the poor hand he was dealt, when he became of age, Jim did something inexplicable to some; he joined the U.S. military. And he chose to become a U.S. Marine; the bravest of the brave. And as a U.S. Marine, Jim was sent to Vietnam. A vicious war for all, Vietnam was a meat grinder for the U.S. Marines. The brutal terrain, harsh climate and guerilla type war contributed to horrific casualties for the leathernecks. Fighting an indigenous people attempting to throw off the chains of colonialism, Jim found himself in conflict. In a later story, “Grandmother’s Hair”, Jim tells of an incident in which a captured Vietcong woman has her head cover removed. Jim could not help notice how the coarse, dark hair resembled that of his grandmother. We can only imagine the inner turmoil Jim was experiencing. Returning from the cauldron in Southeast Asia; Jim encountered all of the negativity that all returning servicemen from that war experienced. Moreover, Jim went back to the reservation where the similarity between those he had just been fighting, and his own people was very evident. Once again, it could have been easy for Jim to choose a dark path; and for a time he did struggle. But two parts of Jim would eventually pull him out of the abyss; the heart of a warrior and the soul of a writer. Jim started writing about his experiences in life. And Jim wrote with humor, compassion and eloquence. Jim’s writing is easy to read; it makes the rest of us mortals feel good. It makes us feel Jim’s soul. Jim wrote stories; in the form of books and poetry. And Jim was also an eloquent speaker. His keen wit, humor, and ability to tap into the human soul made him a popular speaker at many events. 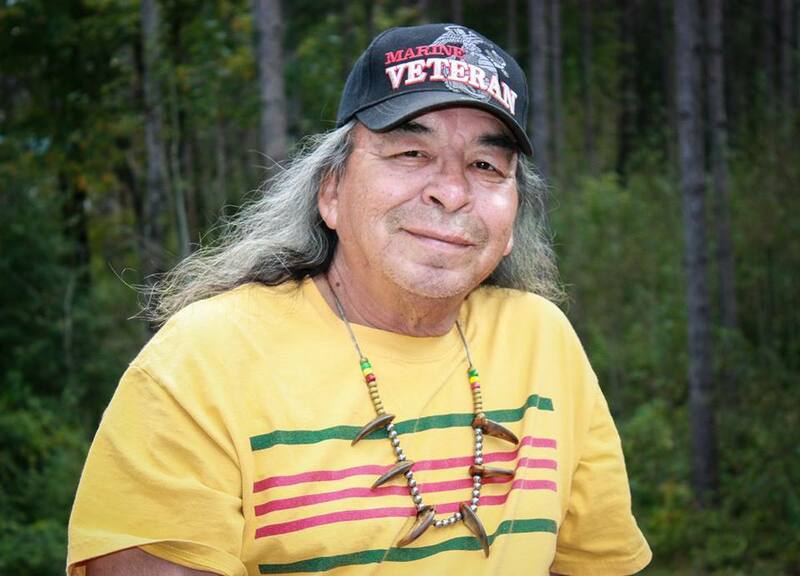 Jim was a proud Ojibwa, a proud U.S. Marine, and a proud family man. Jim’s Facebook pages were full of his activities with his family, extended family, friends and fellow vets. Whether it was harvesting rice, visiting with fellow veterans, or entertaining his grandchildren, Jim had a look of peace and serenity. When Jim learned that his time in this life was ending, he handled it with wit, serenity, and humor. He made the rest of us feel good about ourselves. As for myself; I am happy for having known Jim, and happy that his writings will be around for those in the future to enjoy. And when some kind soul tells me I am a hero, I think of men like Jim and reply, “I do not consider myself a hero; but I have walked among some”. I have received dozens of wonderful emails regarding my friend Jim, and my humble tribute to him. There are far too many to post, but I want everyone to know I have read them all and I wish to express my sincerest gratitude for myself and on behalf of my late friend. P.S. In confirmation of what many readers have suspected; Jim was the inspiration for the character Arnold Redmond in my books The Kansas NCO and Back To The World. I am A Vietnam veteran too. I enjoyed reading your tribute to him! How could I get your two stories. Would like to buy copies to read. Welcome home Venson. I’m glad you enjoyed my tribute to Jim. My books are on Amazon, if you go to the author page you’ll find a link at the bottom where you can purchase them on Amazon. The link is also on the “link” page and “contact” page of this website. If you cannot hook up for any reason go to the “contact” page and send me an email. I can also ship books to you.